When putting together marketing materials for your company, it’s incredibly easy to get carried away with long lists of features or services. The longer the list and the more in-depth you get with impressive technical details, the better you must look to prospective customers… right? Unfortunately that’s not always the case. Especially in a world dominated by the web, companies must vie for visitors’ increasingly short attention spans with catchy hooks and brief descriptions. Most importantly, the short amount of time you have to make your pitch needs to count. Explain the benefits of your products or services, not just the features. You have to make a potential customer desire what you’re offering, and the best way to do that is to make it all about them. Tell them what they will get out of the deal, and then go one step further by explaining why they should care. In other words, what are the benefits of the benefits offered by your features? 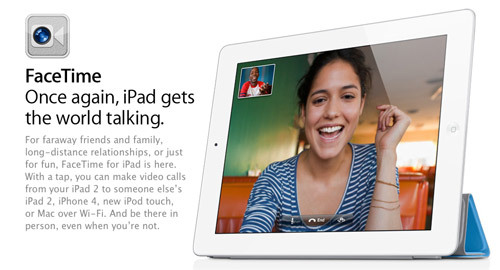 A great example is Apple’s web page for FaceTime video chats on the iPad. The page consists of a few prominent headlines, along with short blurbs that describe why FaceTime is something you should desperately want. Apple shares some technical information – like the fact that it works over WiFi and there are two cameras – but that’s it as far as features go. The screen size and resolution isn’t mentioned, nor is the number of megapixels the cameras have. Those are irrelevant to getting you to want to buy the product. Instead, Apple tells you what the benefits of FaceTime are. You get to see, not just hear, your long-distance family and friends from wherever you are. Okay, that sounds great but why should you really care? Because you’ll never miss a birthday, anniversary, or holiday gathering ever again. You’ll get to see your little niece or nephew blow out the candles on the cake. You’ll get to laugh at your childhood dog’s new trick long after you’ve moved away from home. You’ll get to watch your grandchildren open their gifts on Christmas morning. It will almost be as if you’re really there taking part in the events. That’s a much more powerful and effective way to sell your products or services than just throwing some bullet points on your company’s website, isn’t it?